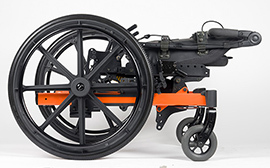 The Stellar LEAP is the only tilt-in-space wheelchair offering a minimum of 20°of posterior and 30°of anterior tilt in a single product. 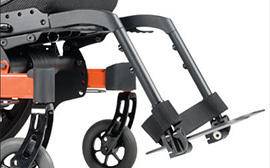 Built upon the robust Stellar frame architecture, the Stellar LEAP retains the bene ts of low knee rise during posterior tilt with the addition of an anterior tilt feature designed to enhance user function, positioning, and transfer capability. 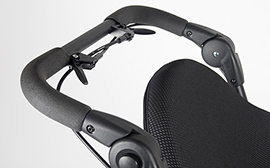 Dynamic recline feature allows for 30° of recline throughout the full range of tilting options. 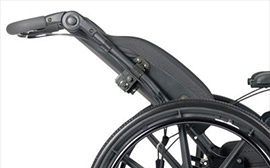 Automatically opens backrest to minimize thrust during anterior elevation. One-hand release for fold-down backrest. An easy-to-grip trigger allows for quick removal of the front rigging.